Hey everyone! I thought I would do a book review for today. I’m going to be reviewing A Shadow Bright and Burning by Jessica Cluess. This book has a publication date of September 20, 2016. I received this as an ARC at BookCon back in May and decided I wanted to read it before it became available to review it. This review is spoiler free against anything major in the story. The story opens to Henrietta trying to hide the fact that she’s a witch to avoid being executed while working as a schoolteacher. Eventually her fire magic calls too much attention to her school and she accidentally reveals it to a sorcerer. Instead of being burned, Henrietta moves to London to live and study as a prophesied sorcerer under the sorcerer who discovered her and to make a place for herself among men as the only woman studying magic and trying to protect the world. I was actually very interested to read this one once I’d actually read the little piece on the back of the book. Overall the book was not what I expected. I hadn’t realized the book was set in Victorian London so that was a surprise right off the bat. I thought the book could use a little more world building, especially at the beginning or each new step, so for example at the beginning, when Henrietta arrives in London, and so on. Particularly regarding the monsters that were attacking throughout the book. The characters were very interesting, torn between accepting the new sorcerer because she was the “Chosen One” and trying to move past the fact that she is female in their own unique ways. Henrietta was slightly annoying because despite her attraction to magic and being a sorcerer, she didn’t actually know anything more than the absolute basics. Even so she was hilarious, witty, and smart all while trying to be the sorcerer that she needed to be for the prophecy. Except then she decides she’s not the prophesied sorcerer and proceeds to dwell on it for a very, very long time. Henrietta’s love interests were entertaining but predictable but I’m glad she was able to make friends of some of her fellow housemates, handmaiden, and the sister of another sorcerer. I’m interested to know how the final version differs from the ARC. I’m hoping more details are added in the final book just about the world in general. I would also like for Henrietta to be more focused on her magic than being liked and for her to be more alert in general. I rated this book four stars. I really liked the book overall and I am really looking forward to reading the sequel already. 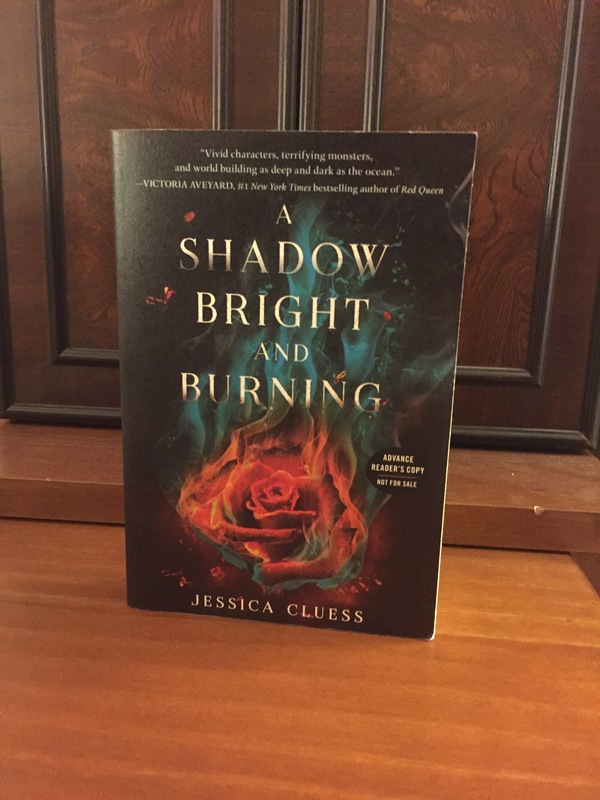 So that’s my book review for Jessica Cluess’ A Shadow Bright and Burning. I hope you enjoyed it and let me know if you pick this one up! Next Style Haul! #PamelainMexico, Target, and more!